Hey Everybody!! I am new here, so I just wanted to start out by posting a thread on what I am doing with my CRF 230F right now. I am 15 years old, so I decided to take my brother's dirt bike when he moved away to college. It is a stock 2003 model, so I didn't really now how much it would take. It took a lot of abuse from jumping it 41 Feet in my friends wheat field to racing up and down my friends river bed. 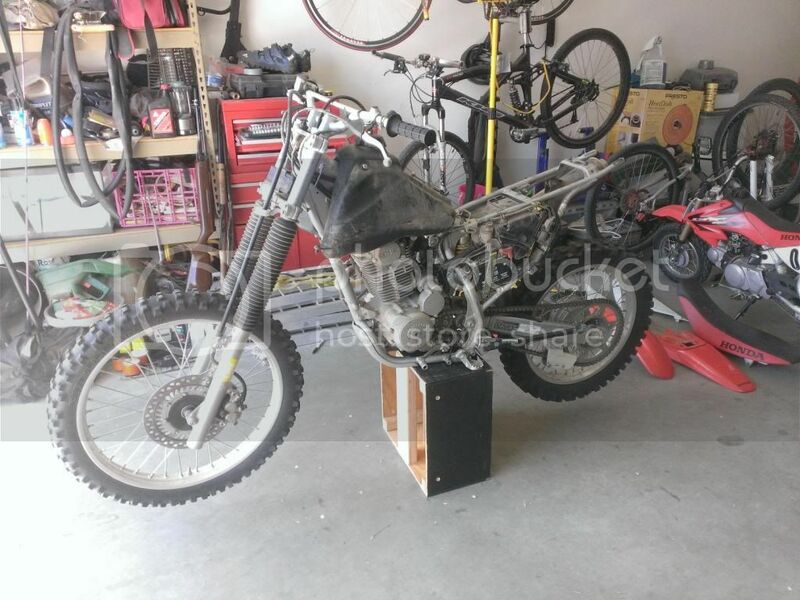 The bike has stood up to everything I have thrown at it, but I decided it is finally time to fix it up before I go ride in the Desert 100 Race up in Odessa, Washington next spring. I found out a few weeks ago that I had broke my Front Brake Master Cylinder, along with some small things like a blown fork seal and torn off handlebar grips. I have been ordering parts this week to start fixing it up, but I don't have the money to order the parts all at once. The rebuild process is going to take at least a couple months. I am also going to make it street legal for riding back and forth from school and work though, so that is going to take some time to get the money also. 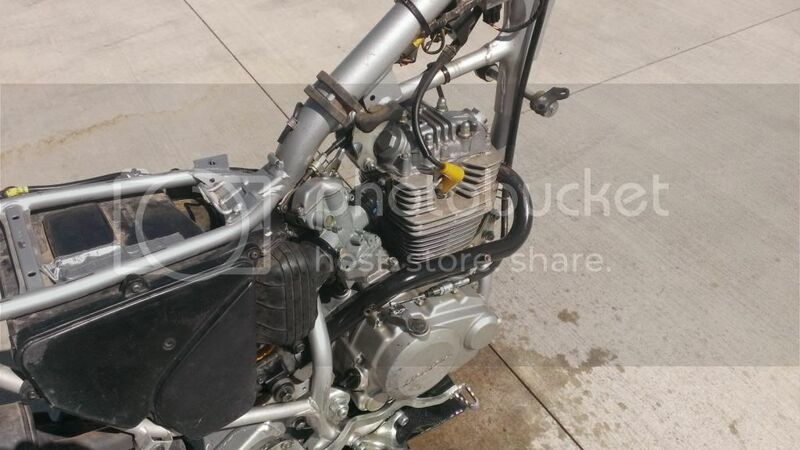 Here are some pictures of the Dirt Bike without any body panels on it. I ordered a Venom Motorcycle Lift/Stand so I don't have to keep my Dirt Bike on a wooden stand I made. 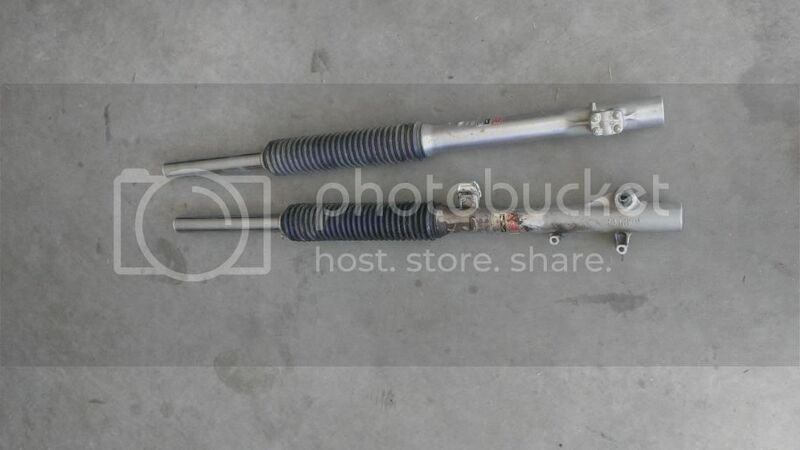 Once I get that in next week I am going to take the Fork and Rear Shock off so I can take them in to get fixed. On the Fork, I am having the seals and oil replaced along with some stiffer springs. I am also going to have the guys put a stiffer spring on the rear shock. 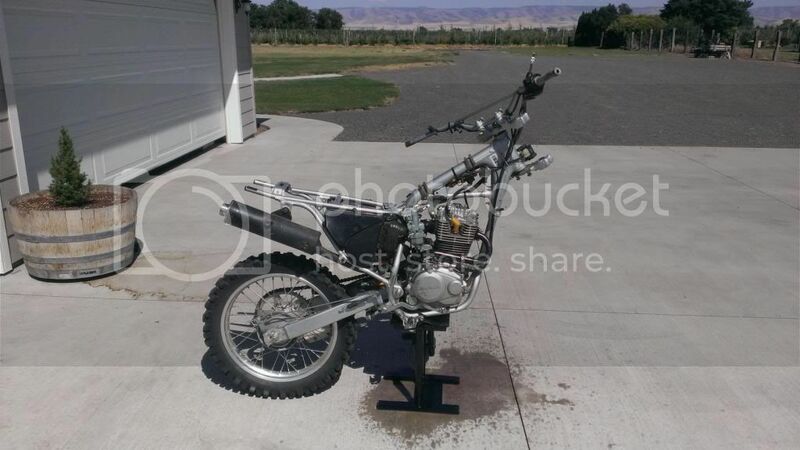 I don't have many pictures right now, but I will be working on the bike tomorrow morning after I get done working in the garage and in the pasture, so I will try and post more updates tomorrow!! Make sure you have a workshop manual as it will save you heaps and make things easier. 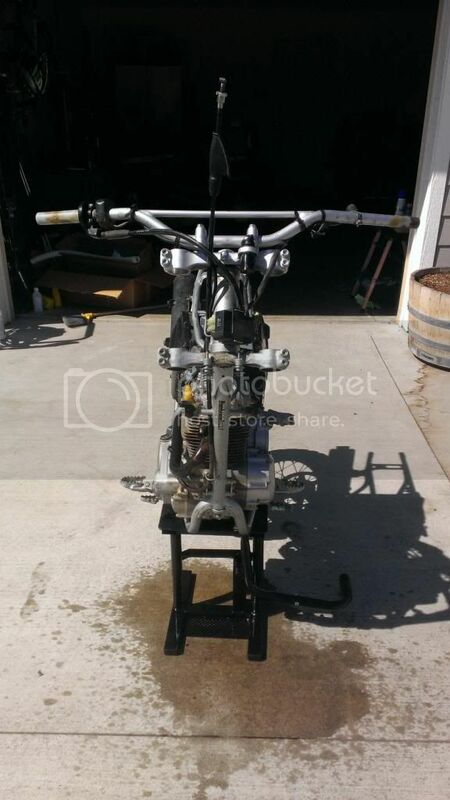 Why the forks and shock are off I would seriously regrease the the steering stem bearings and rear arm bearings. I might get a manual for help, but for now I have a mechanic and a racer/mechanic who said they would help me if I every needed it, and one actually lives right across the street from me. When I get it my new air filter, my friend is actually going to help me re-jet the carburetor and also replace the float valve in it. Once I get everything put back together and finished, I am going to get all new bearings put into the bike though. Hey Everybody!! So I finally got the first out of several parts in the mail today!! I got my 70 Piece Bolt Kit to replace the old and worn bolts that hold on the body panels. I am hopefully getting in a float valve and handlebar grips tomorrow as well. Speaking of Body Panels, I found this graphics design kit and was wondering what you all thought of it. I think it would be a good way to show people how much I love this country!! I am actually trying to decide if I should do this graphics design kit, or make the bike black and red with a blue accent color. All the body panels would be black except the rear fender and the body panels that are attached to the gas tank. 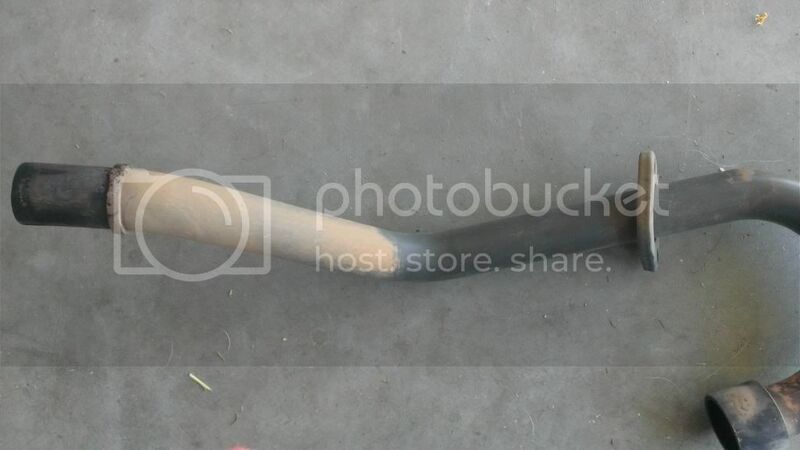 I would then put in blue engine plugs, the ends of the handlebars have a blue plug (Pictures Coming Soon), and the Front Brake Master Cylinder are Black with Blue Aluminum (Pictures Coming Soon). 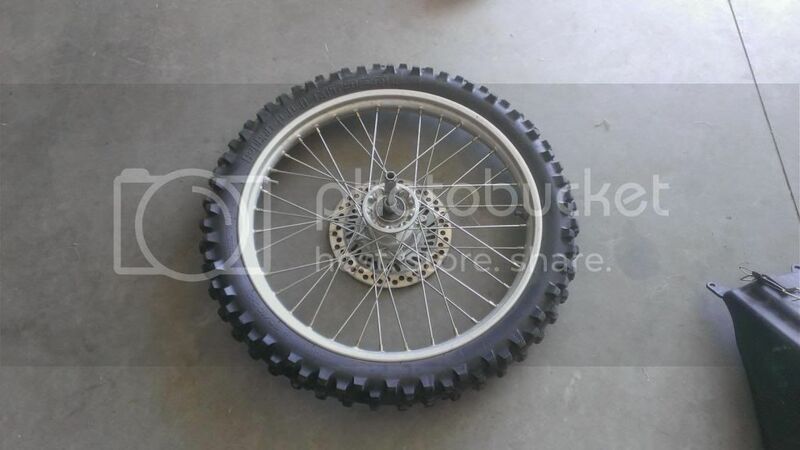 This bike is going to turn out to look sweet!! I'm open to any ideas you guys and gals might have, so don't be afraid to post them up!! Last edited by Chandler.S. on Sat Jul 13, 2013 12:00 am, edited 3 times in total. Replacing worn/old bolts is the signature of one who pays attention to details I like that! Black plastics sound cool BUT they really show dust and scratches. Keep us updated. I got my next two packages in the mail today!! I have been waiting for them since Sunday, so I am so stoked to have the packages in my hands. 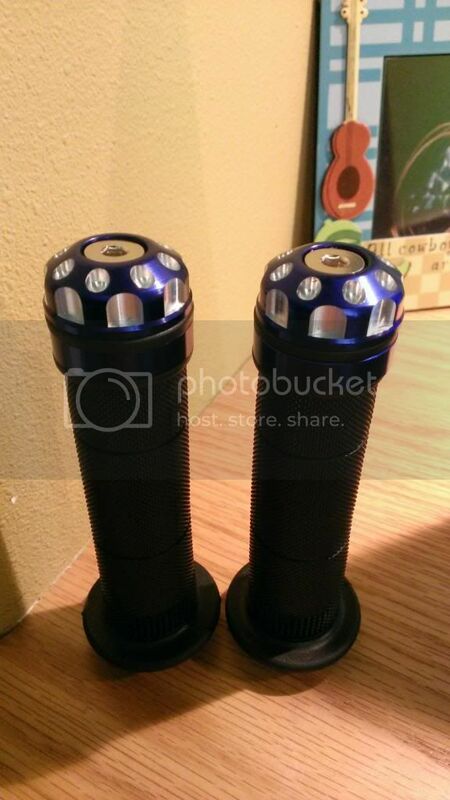 I received the Float Valve and my Handlebar Grips with a Blue Accent Color on them. Here is a picture!! Update: So tonight I didn't have anything to do, so I took some time to see what could be done to the bike. I got to looking, and the exhaust had a rusty type look to it, and I hate it when something I use looks like a piece of crap. I unbolted the exhaust from the engine, and I was able to get the pipe and muffler all of the way off. I discovered that if I took a rag, I could buff the rusty stuff off of the pipe. Here is what buffing it with a rag did... with the right side being buffed, and the left side being rusty still. It's not as shiny as I hoped it would be, but it is better than what it used to be!! Looks like baked on mud or dust. It smelled like baked on mud and dust when I was buffing it all off. It was probably from riding through my friends creek over and over again and then taking the dusty paths back home through the wheat fields. For your pipe, take a scotch brite pad and WD-40 to it. It will look good as new. After I had done all of that, I went to the Ranch and Home in my area and bought some Engine De-greaser and an Engine Protection Spray, but I haven't used the protection spray yet. Here are some pictures!! Sorry I don't have a before picture of the engine. I also got the Rear Shock off late last night, but I didn't have a chance to get any pictures. I will post up another update soon!! What are you doing to make the rear shock stiffer? Did you find a stiffer spring or just get it adjusted? I found stiffer fork springs through BBR for my 230 but have had no luck for the rear.